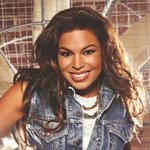 Novartis is teaming up with Grammy-nominated singer, film and Broadway star Jordin Sparks and the Sickle Cell Disease Association of America, Inc. (SCDAA) to launch Generation S, a national sickle cell disease (SCD) storytelling project that will help rewrite the SCD story for generations to come. Generation S encourages anyone touched by SCD to help inspire the sickle cell community and educate the nation by sharing their story. While SCD is considered a rare disease, it is one of the most common genetic disorders in the US, and nearly 100,000 Americans are living with the condition. SCD is a lifelong condition that causes ongoing damage to blood vessels and organs. While people of all ethnicities can have the disease, people of African descent are disproportionately affected. People with SCD often experience recurrent episodes of acute, severe pain, which can eventually become chronic. Importantly, pain is more than a physical symptom – it can impact emotional and social wellbeing.